We did the first triangle with horizontal supports. 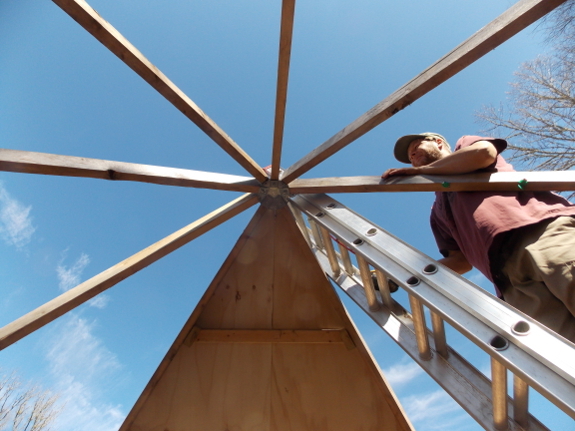 Installing a vertical 2x4 down the middle of each triangle gives more support. The Star Plate has holes to secure the supports with a lag bolt, but we realized the alternative smaller holes were easier with long exterior screws.